Welcome to the first Children’s Round-Up for 2019. Nineteen books have been reviewed since mid-December, which is a fantastic result. However, this has made my job of selecting only a handful of reviews to include here in this roundup very difficult! 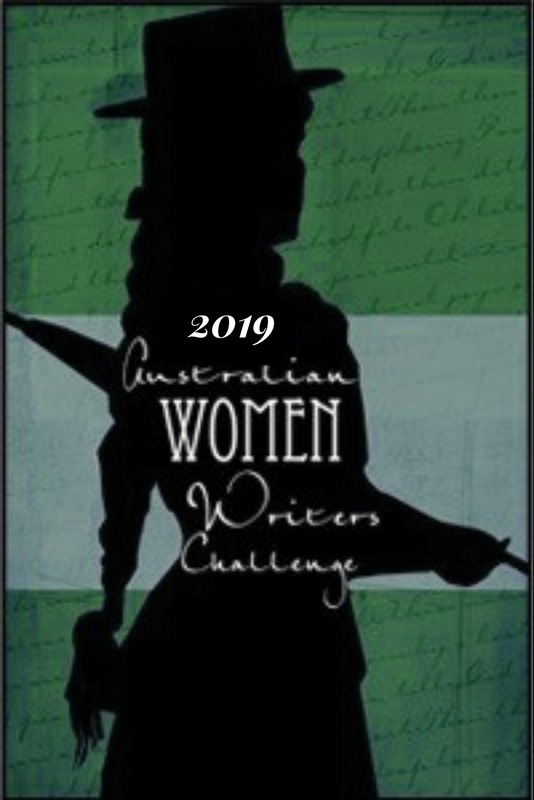 I hope you enjoy reading these reviews as much as I did, and if you haven’t done so already, please click on this link to sign up for the 2019 Australian Women Writer’s Challenge, which is currently in it’s 8th year! 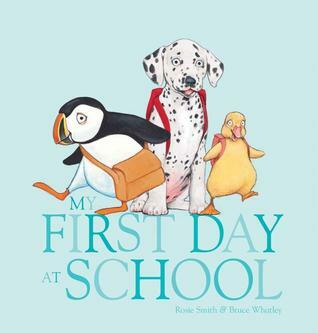 With the new school year starting this month, Rosie Smith’s book, My First Day at School; illustrated by Bruce Whatley, (for ages 3+) was a natural choice. Jess @ The Never Ending Bookshelf suggests this is the perfect book to ease a child’s fear, and to lead them gently into the school year. Using simple one-sentence text that is typed in clear, bold font, Smith and Whatley allow children to break down the big day into simple bite sized notions of what they can expect the day to hold in store for them. Choosing a wide variety of animals as the class of students, Whatley has deliberately created an inclusive and open environment for children from all backgrounds, ages, races and abilities to relate and enter the text, making it universal for all. All in all, My First Day At School is a sweet and simple picture book, perfect for anxious children and parents alike who are about to start school for the very first time. 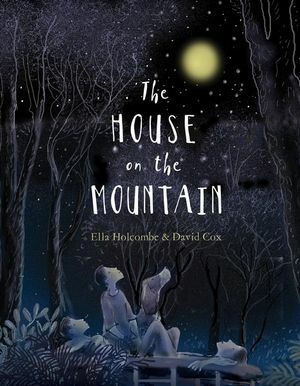 The House On The Mountain by Ella Holcombe; illustrated by David Cox, (for ages 7 – 11) was another review by Jess @ The Never Ending Bookshelf. A powerful story of a family who lose their home in a bushfire and their journey of recovery, Jess says this book made her cry. The House On The Mountain is a dark, and harrowing picture book that seeks to educate, inspire and give hope to those who read it. It follows the story of an unnamed family as they deal with the heat wave that rocked Victoria, Australia, throughout the weekend of the 7th February 2009 and the catastrophic firestorm that swept through dozens of towns killing 173 people and leaving many more injured and homeless. What’s most unique about this story however, is that Ella Holcombe has gone to great lengths to make sure that this particular book about Black Saturday is more than just another recounting of the tragic events of 7th February. Rather it comes full circle, starting the day before the firestorm, continuing on with the families’ narrow escape through the immediate and present fire front, only to then focus more prominently on the aftermath and coming to terms with the loss of the family homes and environment. The narrative is brutally honest, with an opening that is almost deceptively sweet as the narrator and her younger twin brothers play amongst the trees and eat grapes while laying on the kitchen floor. What follows however is the heartbreaking tale of a family amidst a dangerous situation, one where one wrong turn could cost them their lives as the fire engulfs the world around them. Ella Holcombe’s text is gentle in approach, but it packs an emotional punch as it depicts the horror of the situation, and what it truly means to have lost one’s home and community through circumstances such as these. David Cox’s illustrations are staggering in this book. There are no words to truly describe the layers of emotion, place, family and fear that his illustrations evoke alongside Holcombe’s words. It’s well worth clicking on this link to read Jess’s entire review. The Flying Orchestra brings together flying, music and of course, words. Rebecca and Mr 6 have read the book many times, with new questions each time. What’s a sonata? What’s a symphony? What do they mean when they say the angels ‘lost their balance‘ or the symphony ‘blows out of town’? What exactly are dawn and dusk? The pictures are beautiful and expressive – reminiscent of the modern Roald Dahl illustrated editions. At the back of the book is a list of music to listen to for each situation described in the book, leading to discussions about who are Bach and Franz Schubert, and are they alive or dead? 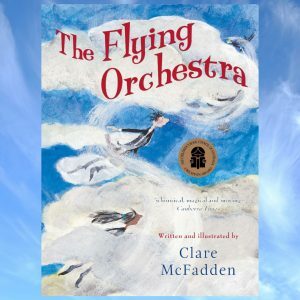 This is a beautiful book to read, and the perfect introduction to orchestral music for kids. 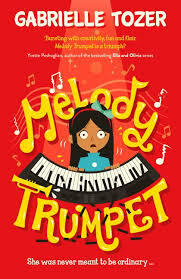 Another musically themed book, Melody Trumpet by Gabrielle Tozer (for ages 8+), was reviewed by Amanda @ Mrs B’s Book Reviews. Amanda says that Melody Trumpet has a heartfelt underlying message: that it is important to search for the ‘extraordinary in the ordinary’. Melody Trumpet is the heir to the famous musically inclined Trumpet dynasty. Melody is the only daughter of Viola, a renowned opera singer, and Barry T Trumpet, a highly regarded conductor. Together, the Trumpets have forged a musical empire. But when Melody shows absolutely no signs of musical prowess, they are beside themselves. With the upcoming gala at the exclusive music school Melody attends drawing near, Melody takes matters into her own hands. The final results culminate in plenty of adventure, fun and lessons to learn for all. Melody Trumpet is a harmonious tale, full of heart, plenty of oomph and strength of character. This Junior Fiction deals well with issues like bullying and friendship, moving house and family changes, loss and resilience. Amber’s mum ends up in a wheelchair, unable to talk, walk or feed herself. 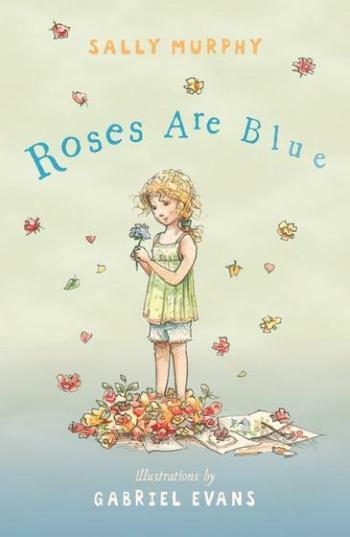 The story follows how Amber deals with this tragedy, a new school, new friends, and the conflicting emotions that surround her first Mother’s Day at school since the accident. How will the rest of her class react to seeing her mum? Does she even want her mum to come? It teaches kids a powerful lesson in empathy – everyone has a story, and you don’t know them all. It is written in verse, adding to the poignancy of everything that Amber relates to. Amber is a lovely narrator; the story is beautiful. In fact it’s the several hankies or a whole box of tissues sort of beautiful. Absolutely recommended. 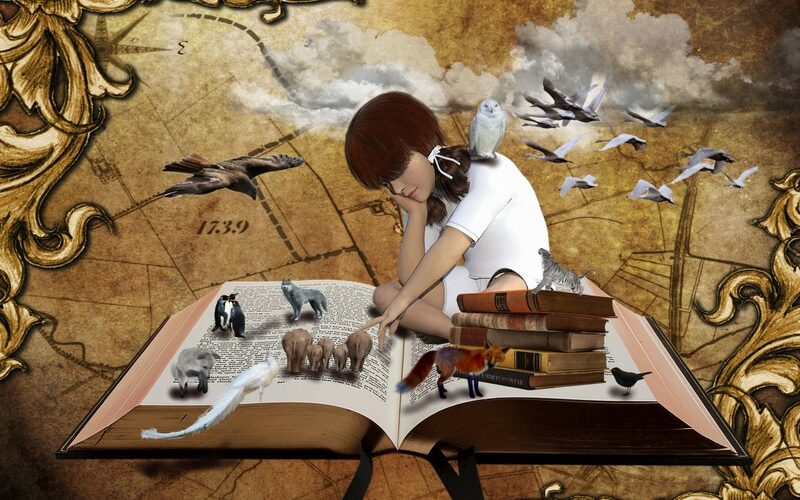 Amy @ Lost in a Good Book provided us with five thoughtful reviews. 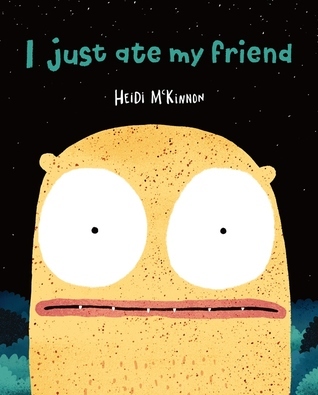 I Just Ate My Friend by Heidi McKinnon (for ages 3 – 5) was shortlisted for the CBCA 2018 awards (Crichton Award for New Illustrators). Amy says she was intrigued by the title, and by the end of the book, was intrigued by the story as well. With no explanation why or how the friend was eaten, the story follows the creature as he tries to find a new friend, not sure he will ever find another. What if he truly had eaten his only friend? The dark pages against the single large, colourful characters, worked to its advantage and gave a sense of being in space or at least somewhere on another planet. For a story that is not that complicated, it managed to surprise and delight Amy. ‘It’s a little absurd and nothing makes sense. There is no reason, but that is what makes it great.’ Amy says she doesn’t need an answer, just a clever story, and this is a clever story. 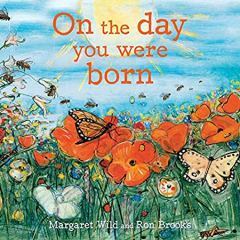 Jonathan Shaw reviewed On the Day You Were Born by Margaret Wild; illustrated by Ron Brooks (for ages 2 – 4). With a 14 month old granddaughter, Jonathan is re-entering the world of books for very young people. He hails Margaret Wild as one of the greats of Australian children’s literature, with her collaborations with Ron Brooks being legendary. Jonathan says that the title ‘On the Day You Were Born’ might lead you expect a story of mother and baby cuddling in bed, but no, here the baby’s father takes ‘you’ on a walk out into the wonders of the world, and returns in the last words to the mother. Not humans are seen – just the gorgeous world. That’s all for this month. I’m looking forward to seeing what 2018 brings in the way of children’s books, and until next time, happy reading!